Live Scan Request Form, What is Live Scan? What is a Live Scan Request Form? A Live Scan Request Form is used to capture an applicant’s information along with the requesting agency in order to process criminal background check. The Department of Justice (DOJ) and the Federal Bureau of Investigations (FBI) are the two primary government agencies conducting such criminal back ground checks. The Live Scan request form is to be provided by the requesting agency that is requiring the background check of the applicant. The Live Scan applicant is to provide the Live Scan Fingerprinting center with three (3) copies of the completed Live Scan Request Form. The Live Scan fingerprint technician will take the Live Scan Request Forms and enter their information on the form. Once the technician completes the electronic fingerprint process (Live Scan), they will retain the original Live Scan Request Form and give back two (2) copies to the applicant. The applicant will then provide the second copy to the requesting agency and retain the third copy for their personal record. The Live Scan Request form may be in triplicate also and is usually identified at the top with the wording of “Request For Live Scan Service”. In addition, it might also be identified with the code BCII 8016, which is sometimes on the bottom or upper left corner of the form. 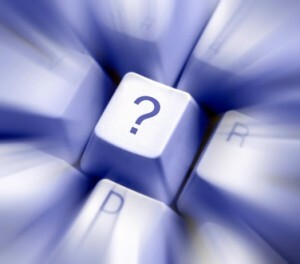 At California Live Scan Centers, we routinely get questions such as, “What is Live Scan?” Individuals seeking employment, obtaining a professional license, applying for adoption, or even just want to see (or not see) what information is on their criminal background check are candidates for Live Scan Fingerprinting. Well you ask, what is Live Scan Fingerprinting? Live Scan fingerprinting is a computerized process whereby an applicants fingerprints are digital captured (electronically scanned) and immediately transmitted securely via a specialized computer terminal to agencies as the DOJ, FBI, or other authorized receiving agency. Now, the digital fingerprints, along with the applicant’s identifying information provided on the Live Scan Request form are searched in the government’s data files for matches that reveal whether there is a criminal history record on the applicant. California’s Live Scan Fingerprinting Center’s biometric electronic fingerprinting technology and resources replaces the process of recording an applicant’s fingerprint patterns through a fingerprint rolling process using ink and paper (called FBI Ink Fingerprint Card, FD-258). Rolled ink fingerprints have been smudged through handling and mailing, causing an applicant’s ink fingerprints to become illegible and rejected. Another issue was the slow process of conducting a criminal background check clearance, taking a long as a few months to complete. Whereas the a Live Scan process can provide results within days if not sooner. Our Ink Card rolling fees may vary, contact us for a quote. One can find fingerprinting services for the FBI Fingerprint Card FD 258 at many of our designated Live Scan Locations. All of our Fingerprint Roller Technicians certified and approved by such agencies as the California Department of Justice (DOJ) and the FBI. Both the ink fingerprinting process and Live Scan takes about 10-15 minutes to complete. We provided online appointment scheduling and of course, walk-in are always welcomed. Where To Get Fingerprint Cards? Our National Live Scan Centers make it easy and convenient by offering a single point of contact for all of your ink fingerprinting and Live Scan needs. Talk to one of our friendly representatives today, Contact us at (888) 498-4234. Another success is that clients also become aware that our Fingerprinting Technicians are certified and approved by the Department of Justice (DOJ) and Federal Bureau of Investigation (FBI) to fingerprint on the FD-258 Fingerprint Card. 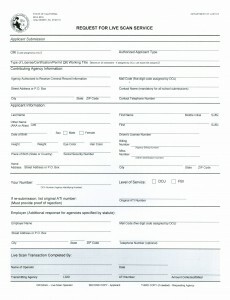 This FBI form is standard for ink card fingerprinting and is used by the FBI, Bureau of U.S. Citizenship and Immigration Services (USCIS), and many police agencies for non criminal fingerprinting in conducting a criminal background checks. The dimension of the FD-258 Fingerprint Card is 8 inches by 8 inches, with an angle cut on the top left corner of the ink card. It is printed on heavy white paper with blue ink, also known as the “Blue Hard Card”. When filling out your fingerprint ink card be sure to complete all the required fields, this includes your full name, date and place of birth, physical description, social security number, and mailing address. Once obtaining the card is half the battle. Ensuring good results is the other half. Avoid going to “suspicious” areas that offer to good to be true price deals. Usually one ends up paying for what they get; which is poor quality service followed by poor fingerprinting results that are usually rejected by FBI and/or requesting agency. If you reside in California, and a private vendor is used, they must be certified by the California Department of Justice (DOJ), and the fingerprint card must contain the certificate number. All of our Fingerprint Technicians at California Live Scan Fingerprinting Centers are certified and approved Fingerprint Rollers from the DOJ & FBI. “Where To Get FD-258 Fingerprint Cards?” Well that’s easy, contact us or stop by any of our California Live Scan Fingerprinting Centers today, (888) 498-4234.